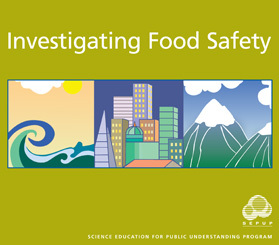 Investigating Food Safety is a SEPUP module designed for use in grades 6–12. The module contains a series of 8 activities that provide approximately 3 weeks of instruction. Scroll down to see the materials that are included in the Investigating Food Safety kit as well as those materials that are required but not included. 8	empty 30-mL bottles, labeled "Ascorbic Acid, 10%"